This post aims to help you fix “Windows cannot find a system image on this computer” error which appears during Windows system restore. If you can see your backup image file on your computer or some external disk, and still cannot perform system restore, you can read solutions in this article and fix it easily and safely. Attach the backup hard disk or insert the final DVD from backup set and click Retry. Alternatively, close this dialog foe more options. How to fix “Windows cannot find a system image on this computer”? Rename the folder that contains the system image as WindowsImageBackup. Windows Recovery requires the folders name should be WindowsImageBackup, otherwise, it cannot recognize it. Put the folder at the root directory of a partition instead of any sub-folders. If not, the recovery application cannot find it. Do not put the image backup on USB flash drive. In some cases, Windows cannot recognize system image from USB flash drive. You can move it to local disk or external hard drive. 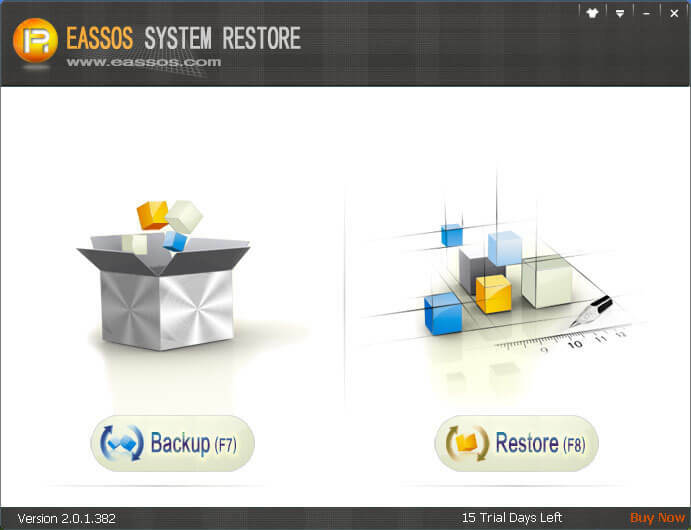 Backup & restore Windows with third-party system backup software. The following part will explain how to back up Windows 10/8/7/Vista/XP using Windows backup program. Eassos System Restore is a good alternative to Windows System Recovery, as it is much easier to do system image backup or restore. Besides, it is able to create bootable USB disk so that you can do system image recovery when Windows cannot boot. Let’s have a look how to back up Windows with Eassos System Restore. Step 1: Download, install and launch Eassos System Restore from your PC. Then you can see the main interface which contains two buttons. Step 2: To backup Windows, you should click Backup button or press F7. Step 3: Click Start button and click OK to start creating image backup for Windows. If you want to configure advanced setting, click Option button. Then you can set destination location to save system image, backup type, compression speed, etc. Step 4: Wait with patient when Eassos System Restore is backing up system. When the process finishes, computer will boot to Windows again. This entry was posted in Backup & Restore and tagged system image recovery, Windows backup and restore, Windows image by EASSOS. Bookmark the permalink.